Deaf History Month (March 13 through April 15) remembers and celebrates the achievements of Deaf culture and the contributions of deaf and hard-of-hearing (Deaf/hh) individuals to society. Readers will note that this statement refers to both deaf and Deaf, and this is an important distinction. The word deaf (lowercase) refers to the biological condition of hearing loss, while Deaf (uppercase) relates to the common experiences, values, and traditions of people with a shared culture, identity, and language. The language of Deaf culture in the United States is American Sign Language; ASL is often misperceived as a gestural transcription of spoken or written language but is considered by linguists as a full language. Not every biologically deaf person self-identifies as culturally Deaf, particularly individuals who are late-deafened in life or who were not exposed to Deaf cultural institutions (such as, Deaf schools) from an early age. Deaf History Month’s timing commemorates three important events in Deaf history. On April 15, 1817, Thomas Hopkins Gallaudet (a Congregationalist minister), and Laurent Clerc (a deaf educator from France) opened the American School for the Deaf in Hartford, Connecticut. It is the oldest continuing educational institution for the Deaf and hard-of-hearing in the United States. 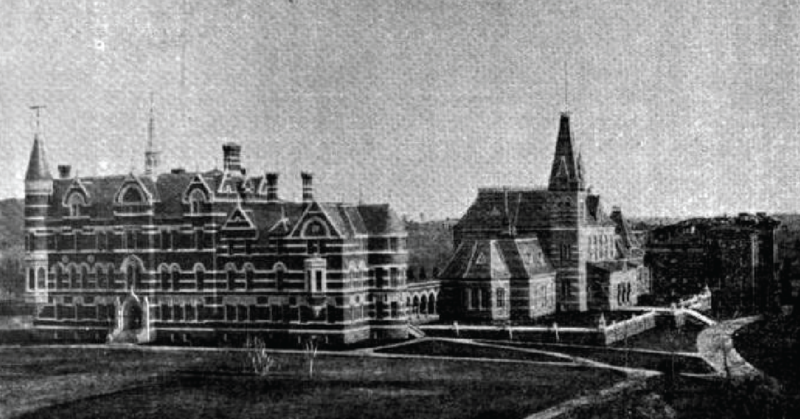 On April 8, 1864, President Abraham Lincoln signed the charter for Gallaudet University (in Washington, DC) as the first institution for higher education for the Deaf and hard-of-hearing in the world. On March 13, 1988, I. King Jordan was selected as Gallaudet University’s first Deaf president, thanks to the Deaf President Now movement—a student protest with the support of many faculty, alumni, and staff. Historically, different religious traditions and denominations have had varying responses to deaf people, ranging from discrimination and marginalization to inclusion and empowerment. In spite of contemporary outreach to deaf/hh people, however, opportunities for full participation in religious life are often restricted. Hearing people benefit from hearing privilege; in terms of religious belonging and faith lives, hearing people can choose to explore many different faith communities in search of a suitable belief system, community, and/or religious leader, while Deaf/hh individuals are often restricted to locations that have a Deaf ministry or provide ASL interpreters. The Church, like many institutions, is often perceived as a hearing institution that disregards the needs of the Deaf and hard-of-hearing. Librarians and library staff would benefit from some basic knowledge of ASL, but even without ASL, certain best practices will facilitate communication with the Deaf and hard-of-hearing. For example, use a pen and paper handy to communicate in writing. Do not assume that Deaf/hh people can read lips (“speech reading”). Further, ASL is often the native language of many Deaf/hh individuals, so consider guidelines for working with ESL patrons as well. Know when you need to work with an ASL interpreter and be sure that your interpreter is professionally trained and certified. For additional guidelines, see “Working with Deaf Patrons,” in the Resources below. In addition, the Office of Campus Ministries at Gallaudet University (Washington, DC) may be able to provide information or other resources. Bauman, H-Dirksen L. and Joseph J. Murray, eds. Deaf Gain: Raising the Stakes for Human Diversity. Minneapolis, MN: University of Minnesota Press, 2014. Brosterheuzen, Marcel, ed. The Gospel Preached by the Deaf: Proceedings of a Conference on Deaf Liberation Theology held at the Faculty of Theology of the Catholic University of Leuven (Belgium), May 19th, 2003. Leuven: Peeters, 2007. Costello, Elaine. Religious Signing: A Comprehensive Guide for All Faiths. Revised edition. New York: Bantam Books, 2009. In addition to the signing materials included in the text, this resource includes an introduction to different religious groups’ and denominations’ approaches to Deaf ministry. Gertz, Genie, & Patrick Boudreault. The SAGE Deaf Studies Encyclopedia. Thousand Oaks, CA: SAGE Publications, 2016. Holcomb, Thomas K. Introduction to American Deaf Culture. Oxford University Press, 2013. Kusters, Annelies, Maartje De Meulder, and Dai O’Brien. Innovations in Deaf Studies: The Role of Deaf Scholars. Cambridge: Oxford UP, 2017. Lewis, Hannah. Deaf Liberation Theology. Aldershot, England: Ashgate Publishing, 2007. Padden, Carol, and Tom Humphries. Deaf in America: Voices from a Culture. Cambridge, MA: Harvard University Press, 1988. Through Deaf Eyes. Directed by Diane Garvey and Lawrence R. Hot. PBS Home Video, 2007. The DVD has a companion website (www.pbs.org/weta/throughdeafeyes) which provides a discussion guide, the full transcript of the DVD, video clips from media by Deaf filmmakers, and links to numerous Deaf-related organizations and web resources. Yates, Leo. Interpreting at Church: A Paradigm for Sign Language Interpreters. Charleston, SC: BookSurge, 2008. This article is part of the Atla Committee for Diversity, Equity, & Inclusion’s semi-regular articles designed to provide theological and religious studies librarians with resources and advice for providing equitable access and research to the full spectrum of human diversity.